We all know that many teams and drivers affectionally name their cars - Scooby and Bumble Bee are just a couple. 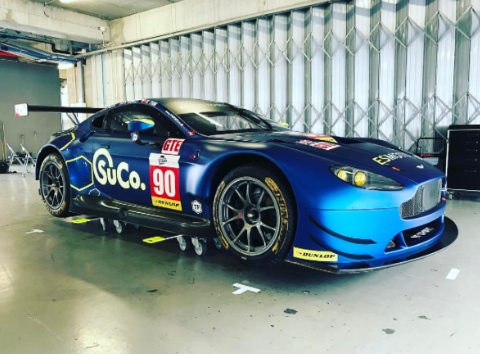 Having completed what has been reported as a very successful three day test in Portimao over the weekend, team of the moment TF Sport have this afternoon finally revealed the striking new livery that will bedeck their Aston Martin Racing V8 Vantage GTE that shall compete in both the 2017 European Le Mans Series and Le Mans 24hr. Fitting in with the naming introduction - the car's lead driver Salih Yoluc has today presented us with the "The Honey Badger" - a strange choice maybe but its his choice as he's paying the bills!! Joining Yoluc for their first ELMS endeavours will be his long time driver coach Euan Hankey and WEC Champion Nicki Thiim. 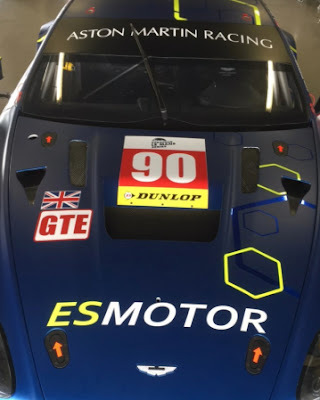 Joining the #90 car for the 24Hr at Le Mans only will be AMR returnee Rob Bell due to Thiim's pre-commitments within the #95 car. Speaking with the team earlier today we understand that this car was in fact a spare the factory team had from last year and that the car will next be seen at the ELMS Prologue at Monza at the end of March.